With Cascades of Fire set to launch in Niagara Falls this weekend you can expect the city to get busy with locals and tourists alike. The Winter Festival of Lights event is already kicked into high gear, and when you add the two triple header weekends for the Cascades of Fire event series, parking nearby could be a challenge. 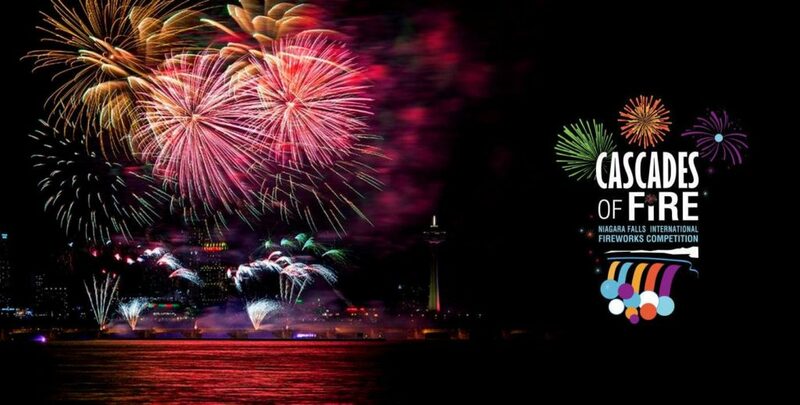 Though Niagara Falls is generally the biggest draw, this highly anticipated fireworks series will attract many more who will want to park near the launch site. 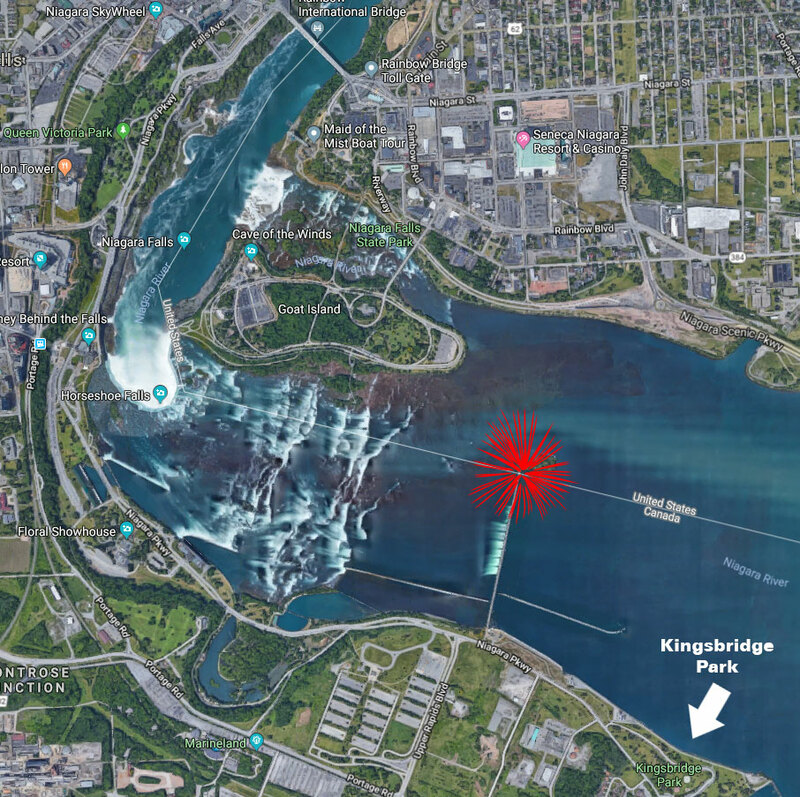 Though instead of firing off from the base of the Falls, the fireworks will launch from the upper Niagara river control dam, just south east of the Falls brink (See image below). 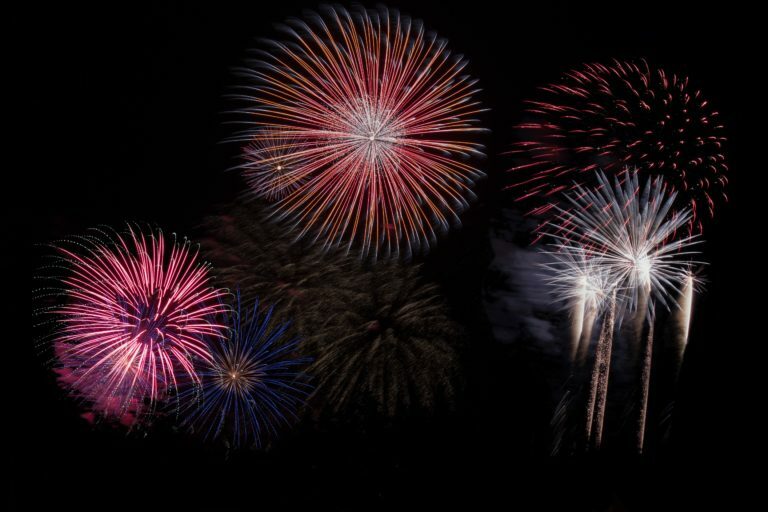 If you want to score a prime spot with a great view, we recommend parking at Kingsbridge Park where there is a large lot just steps from the fireworks. During the light festival and fireworks shows, Clifton Hill will be a popular destination for families before and after the shows. The main parking lot is right at the centre of Clifton Hill: The World Famous Street of Fun by the Falls. The lot is located one block to the Falls next to Queen Victoria Park, the Skylon Tower and near Fallsview Boulevard. Our Victoria Avenue entrance/exit can be found directly across from the Vittoria Hotel & Suites (5851 Victoria Avenue). Don’t miss the Cascades of Fire in Niagara Falls this year! Get details on the event by clicking the link below!